Beautiful image! I love the way it is processed. Stunning sky! I really like this building/shelter...it is so very weathered and beaten, where is this??? Love the clouds in this shot, this is really nice. Good composition, exposure, and setting. It feels slightly desaturated which works perfectly. I would love to know the story behind this little isolated triangle of a cabin! 10. Very nice. Incredible sky and very interesting building. 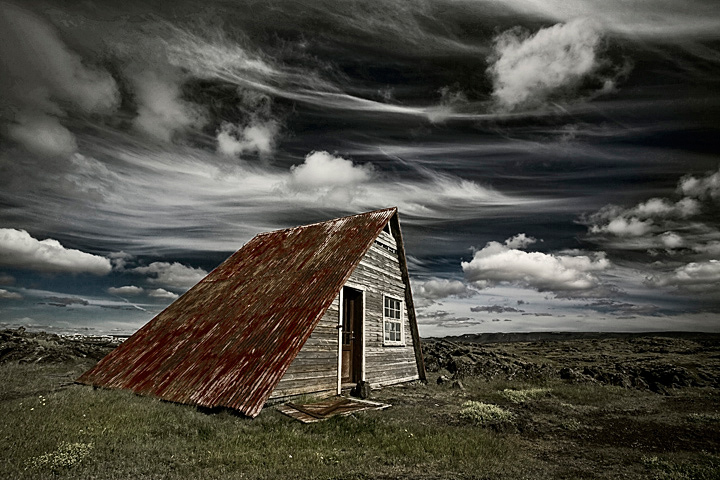 A classic shot from Iceland, I've seen this shed before. What a fantastic sky you had for this photo. securely this image come from iceland, I like this. Proudly hosted by Sargasso Networks. Current Server Time: 04/18/2019 08:51:46 PM EDT.